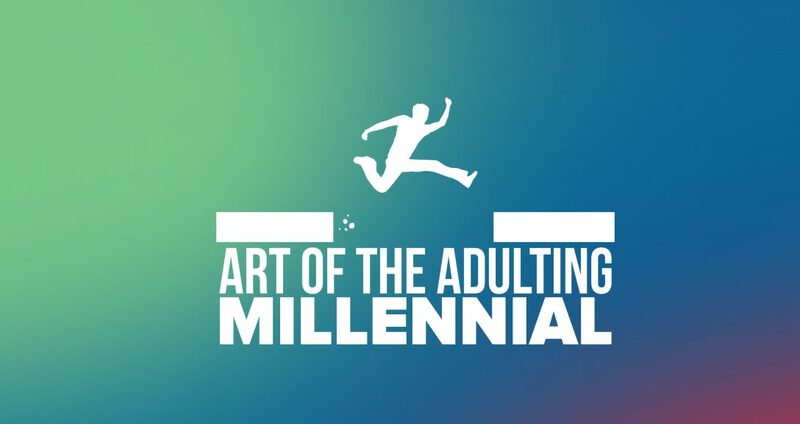 The Art of the Adulting Millennial – Because there are no rules to navigate adulting….and there SHOULD BE! Rule #2: Remember who you are before the world told you who to be. Life has a funny way of coming crashing down around you at the exact moment you believe the tide was turning. However, in your moment(s) of weakness, despair, and misery the veil of illusion is pulled back. You remember who you are, your purpose, and your destiny long before the world super imposed the wishes, desires, and hopes of society and conformity upon you. It is in your darkest hour you remember who you are before the world told you , who to be. Follow me @AoAMillennial. Subscribe to receive updates to the rules of life as told by a struggling, failing-but ever trying adulting millennial. Rule #6: Everything at one point in time was impossible. I am going to get straight to it, rule #6: everything at one point in time was impossible. Some days–for example, like yesterday for me–you wake up and a task that is before you seems impossible. As the day goes on the mere thought of even beginning the task seems momentous and unfathomable. Next thing you know, the sun rose and set and you have made no progress on a seemingly impossible task. Then, there are days you wake up and it feels as if you can bend the very fabric of time itself and move mountains. I have come to realize the only difference between the two above described days is mindset. In 1954, Roger Bannister became the first athlete to set the record for a 4-minute mile. Since then, over 1,400 athletes have broken the record. Before Ernest Rutherford’s discovery of atom splitting in 1919, atomic energy would not be possible. Nor would Albert Einstein advancement and discovery of the theory of relativity. From Roger Bannister to Albert Einstein, their works and contribution to their respective fields stand to show us that at one point in time what was viewed as impossible became possible. It is only through a change in attitude, mindset, and with tenacious belief and unfettered determination does impossible become I’m- Possible! So regardless of the day you have before you, the task that may stand in your way to completion, or the circumstances that you are presented with, remember rule #6: everything at one point in time was impossible. Rule #4: Self-preservation is the SUPREME law of the land! However, there is one law that he imparted on me–at the time, I was recusant to accept as fact. That fact is rule #4: Self-preservation is the SUPREME law of the land! While later in life I would learn author,Samuel Butler set forth the very same principle– I fondly subscribe the principle to my father who learned it only through the misfortune of his adulting experience and the unkind hand that life dealt him. In hindsight I have realized that I learned to care for others and put the needs of others before myself. While a necessity to having a functional society and ensuring continuity of human life, selfness, at first, can stand in opposition to accepting the idea of self-preservation. Self-preservation is the principal of protecting oneself from ultimate demise–death. But in essences it is more than that. Self-preservation is the notion of guarding one’s soul from despair by giving away the key to entry to anyone and everyone; it is notion of discretion–holding back that immutable part of yourself (see rule #8); it is the notion of putting your essential needs (beyond the basics –food, sleep, etc…) for growth, development, etc.. before those of others. While, easily confusable there is a fine line between self-preservation and being selfishness. Selfish is when you have enough– money, time, food, insert physical item or intangible of choice– to share and their is no, or minimal emotional, physical, or psychological impact in providing another with the requested insert physical item or intangible of choice (i.e. money, a listening ear, etc..); yet you refuse to do so simple because…. Now, if in providing your time, money, etc.. to another it will cause emotional, physical, or psychological impact beyond what you have to spare or can bare, then it is not selfish but merely self preservation. In understanding this rule, it became clear to me that the rule simply boils down to no one is going to look at for your best interest the way that you can. Further, while self-preservation is the SUPREME law of the land, it is one of the most difficult to accept. The notion of rule #4 requires you to sign on wholly to the idea that looking out for your interest can be done in an authentic and genuine manner; and recognizing everyone has limits, so taking action to prevent your limits from being crossed is not selfish but self-preservation. So yesterday, was my 28th birthday, and with the beginning of a new year–of sorts– comes new goals, new hopes, new plans, new worries—and overall newness! However, if life has taught me one thing it is that humans have capacity levels (future rule forthcoming). When those capacity levels are reached, it is incredibly difficult to function as the best version of yourself. I have a general overall sense of continuous lethargy and defeat. In recognizing the affects on my mind, body, and soul of reaching capacity, I am able to stymie the challenges that cause me to reach capacity. I have also learned that a challenge that plagues most of us–especially Adulting millennials– is the inability to forgive. The inability to forgive others. To forgive past actions or missteps. Most importantly, the inability to forgive yourself. While adulting, I have made countless missteps, mistakes, and engaged in misdeeds. Some at the time, I believed to be the best course of action. Others at the time I seen a cataclysmic end but failed to stop myself, out of sheer fear of the unknown alternative. Regardless of the reason, in the end I am left with the pain and burden of the impact I made, and the potential hurt I have caused. The weight and burden of failure, hurt, and pain grows with each mistake, misstep, or misdeed–until finally, you are rutted in the quick sands of despair. Sinking quickly and going nowhere fast! Stuck in place only to stew over every past action you caused or that has been done to you. Life at this point is best summed up with the adage– a watched pot is slow to boil. Stuck in the dusty recess of your minds graveyard of hurt and despair, waiting for a magically moment to happen where all of a sudden life is better and all is grand….will not come without taking a noble and powerful step on your behalf. This step is what I have learned to do, although it has taken me 28 years to be made known, fully comprehend, internalize, and act upon it. The step is rule #81: forgive wholly! Les Brown once said ” It doesn’t matter about the things that you’ve done, that you feel guilty about, if you wouldn’t do it today you’re convicting an innocent person. If you have thought about it, prayed about, dreamt about it, and figured out why you did, what you did, when you did it and have determined that it was necessary thenForgive yourself ! If you have thought about, prayed about, dreamt about it, and determined that what you did, when you did it, was uncharacteristically you and you would not do it again, then forgive yourself! If you have asked about it, thought about it, read about it, and figured out why whomever you believed did you wrong, did what they did to you, and some how you can forgive them for it then do not feel bad for forgiving yourself! Even if you cannot for the life of you figure out why someone you thought was close to you, did what they did to you, still forgive yourself! Most importantly, forgive yourself wholly! Everyone has a capacity level at which point you are doing yourself a disservice, and the world a displeasure! As we are adulting we will make mistakes! Take the time to learn from your mistakes, missteps, and misdeeds and for your health, wealth, and piece of mind– forgive yourself wholly! Here is to being 28 and forgiving myself wholly– to all my past mistakes, past hurts, and those who hurt me– I ask for your forgiveness and I release you! Rule #7: Make the pain worth it! Yesterday I celebrated my 28th birthday! Turning 28 is not seen as a pivotal birthday such as 16- because your ‘sweet’; 18- because your ‘legal’ ; and 21- because ‘all rights and privileges’ of adulthood are officially conferred upon you. However, turning 28 is, and was a major milestone; because it marks the countdown to the big 3-0. During the final hours of my birthday my mind beginning to wonder back to previous internal monologues and soliloquies in the living room during the stale early morning hours. Soliloquies and internal discussions in which I determined that I have to make it by 30. Internal diatribes and out loud realizations that led me to proclaim by 30 I must—I will-– make it and that led my mind to quickly begin to bombard my chest with questions causing me to feel as if the walls were closing in around me. What exactly does it mean to make it ? What exactly is the destination to which I have determined I must arrive? How will I get it there? Do I have it in me to make the journey? What is the it that I need to have in order to make the journey? After a semi-brief panic attack and moment of paralyzing fear, I stilled my mind and brought focus to the fact that over the past 28 years, I have achieved a number of accomplishments, triumphant successes, and survival frets. Some shared by most humans and others unique to my life’s journey. From learning to walk to learning to read. From being the first person in my immediate family to earn not only a bachelor’s degree but a master’s and then a law degree. From being entranced and in love with policy and politics to having the privilege to work in local government and help my community achieve long sort after policy goals. No matter how small or great the fret, the thought of past successes only stand as a testament of the power of continued effort and determination. In this moment, and during the final hours of my birthday, it is when I realized rule# 7: make the pain worth it. Life will continue to dole out your fair share, and sometimes seemingly unjustified-unfair share, of struggle, burdens, and failures. These struggles, burdens, and failures can leave you at a loss of words and at times at a loss of direction. However, take solace in the victories you have achieved, the skills you do have, the knowledge you do know, the connections you have made, and the fact that nothing is irrevocable except the willing capitulation to the status quo! In short, keep going, keep striving, and make the pain worth it! Follow me on twitter @AoAMillennial. When I was younger, I believed life was not hard but we, as in people, made it difficult. I still believe this is the case. However, while Adulting, at some point in time, I realized life really was…is…hard! As your mom told you when you were younger, simply because…. Regardless of the reason accept that life is hard but never let it stop you from being even tougher. Roll with the punches, and when the opportunity presents itself, or you make the opportunity–throw a few blows back! Rule #1: Life is hard…so deal! Rule #72: When giving a f*ck is too much work…don’t! Some how you need to still pull yourself: (1) out of bed; (2) brush your teeth; (3) take a shower; (4) get dressed; (5) get to your destination; and then (6) interact with your colleagues, friends, associates, and strangers…. But wait, as if that did not call for all the effort and energy you already do not have, you need to interact with others with a smile, or at least some feigned interest, care, and concern. If I pack everything up right now and move back home, am I failure or am I being financially prudent? Hmmm, as to that last question, what is the difference between begin a failure and having failed? Will I be able to pay my rent, car payment, utilities, and buy food this month?… Oh shot, I will– God is shinning down on me this month!! After being side-tracked by contemplating real issues, you are snapped back to the misery of the day by some overzealous colleague, customer, client, stranger–person–needing something. A lot more something then you have to give. At which point you scrounge up every bit of the little energy you have, to provide to the best of your ability a thorough and pleasant response. This act continues person-after-person, hour-after-hour, until your day comes to an end. Finally, you gather your belongs, the remainder of your energy, wit, and mental capacity and shuffle off to your next destination…and finally home! At long last you reach home…but wait, you have no energy to read the magazine article you planned to read, work on what you are sure will be the next great American novel, or paint a portrait that would put Da Vinci to shame. The endeavors you know some how in your soul will turn your situation around–reading that article will unlock the financial plan that will have you retire a millionaire at 30, or writing that novel will turn you into the next Stephen King. So, rule #72: when giving a f*ck is too much work, don’t!Use this rule with caution– sometimes you have to pull yourself through the day, but remember always save a little energy for yourself and your own endeavors. Follow me on twitter @AoAMillennial or instagram @theaoamillennial. Wholly cr*p, I’m an adult! Is this really it?! Soooo, is it just me or did one day you fully felt the weight, responsibility, and gnawing feeling of adult-hood hit you like a runaway train? Because it most certainly is not what I had in mind. I was thinking 27 would be more like the male equivalent of Jennifer Garner’s ” 13 going on 30″– I was suppose to be on track to being 30, forget flirty, but thriving. Finally, I did what any self-respecting, millennial would do… I got mad and decided to take to social media… In actuality, I took some time to come up with a plan and chart a path forward, so that my next 27 years look as great as I know they will be. After planning, I realized how many millennial’s out there are on the #StruggleBus (yes, I know the term is played out but let’s get real it precisely describes the millennial struggle). We are out here with big ideas, little guidance, a lot of resistance, and at times…what feels like diminishing hope. So The Art of the Adulting Millennial was born. A guidebook to navigating the road between whatever you call post adolescences/ teenage-hood and becoming a full on “Adult” (whatever that means, because their definitely seems to be a low supply of good examples). I will discuss life lessons/rules for making it on the journey of Adulting.